There’s no doubt that steam locomotives originating from different nations have big differences in style and design. British locomotives are relatively compact, especially compared with American steam engines. There were differences in style and engineering practice between nations, plus differences of loading gauge (the UK’s being very narrow) that also no doubt made a big difference to the final look of a particular nations’ steam locomotive. The USA Dock tank is therefore a distinctly different design to most tank engine’s you’ll find in the UK, with outside pipework and no less than three domes. 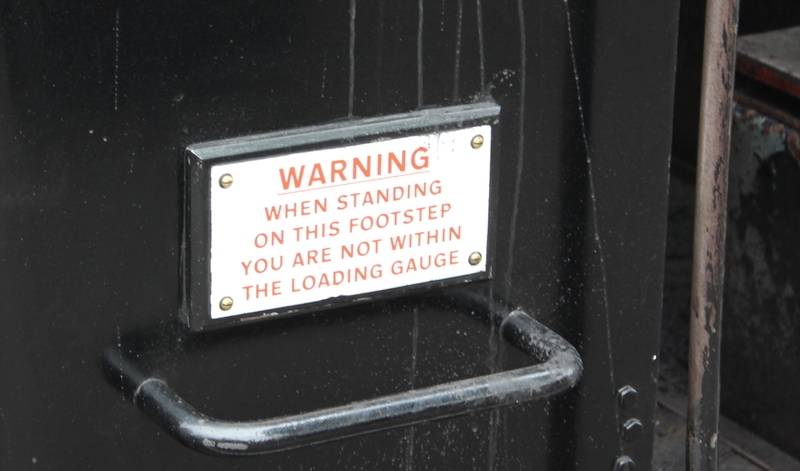 Even this small American steam engine barely fits within the British loading gauge, as evidenced by the warning on the outside of the cab pictured below (this was fitted by the railway’s Saturday Gang). This locomotive, no. 30065 is the only original ex-Southern Railway USA Dock tank in working order in the country. 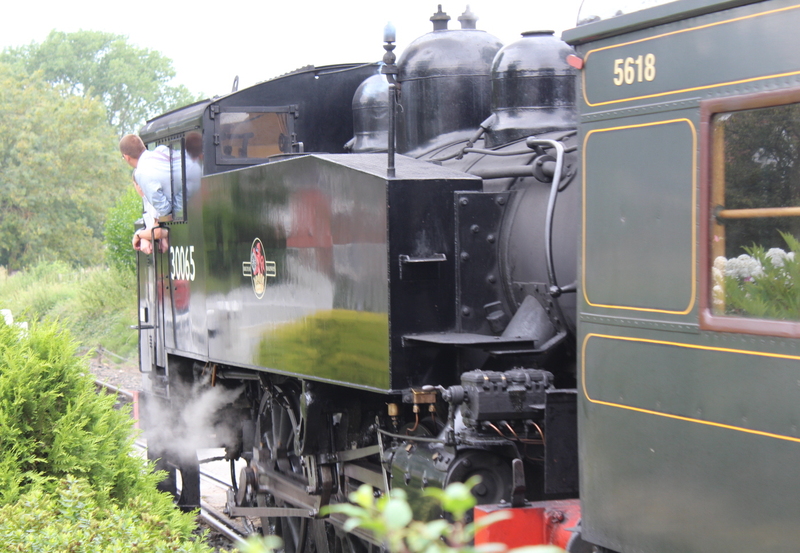 It is a very useful locomotive and currently the Kent and East Sussex Railway’s prime steam engine, as the line progresses a number of other overhauls (including class mate 30070.) To read more about this loco, click here to read last year’s blog post. To keep up to date with the Saturday gang, click here to go to their YouTube channel or here to go to their blog. Finally I’ll leave you with a gallery of photographs of 30065. Thanks for reading!